Product Description: Carbon Off Aerosol. 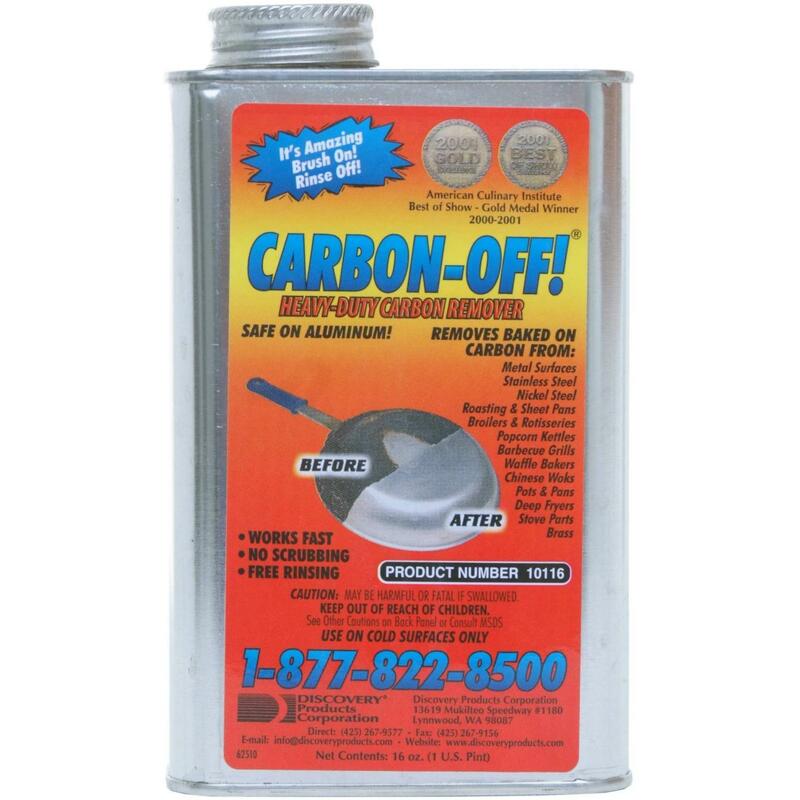 For light carbon removal-carbon off is a new and wonderful way to remove carbon from your pots, pans, grills, Chinese woks,popcorn kettles, Teflon,glass, brick waffle bakers, deep fryers, stove parts, broilers & rotisseries roasting & sheet pans all metal surfaces. 19 oz aerosol can. Product CANNOT be sold in or shipped to California. Grill And Casting Aerosol Cleaner - 12 Oz.